With increased emphasis on security, water and wastewater systems need to make the public aware that tampering with a water, or wastewater, system is serious business. 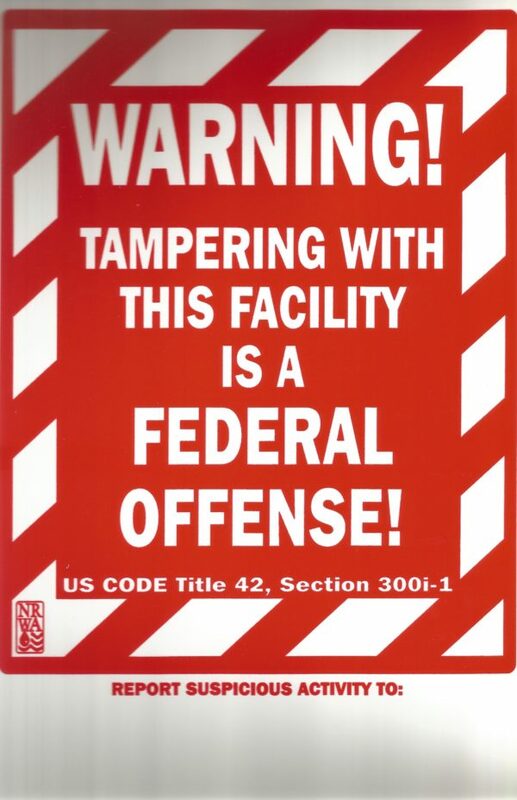 Use these signs to let your public know that tampering with your system is a Federal Offense. Signs are heavy duty plastic and suited for inside or outside use. The price includes delivery to you via MRWA staff or U.S. Mail.